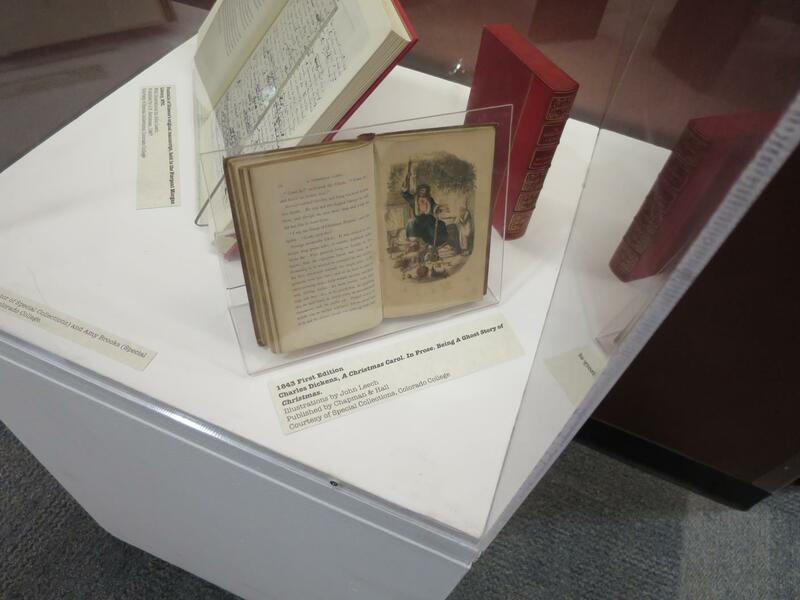 December 2016: Theatreworks at UCCS is putting on a production of A Christmas Carol this holiday season, and they’ve borrowed a couple of books from CC Special Collections for a display to accompany the show. Shown here: an 1843 first edition of the story and a facsimile of Dickens’s original manuscript. This entry was posted in new attention on old item on December 14, 2016 by ccspecialcollections.